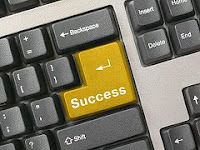 Defining Career Success: Making Money or Finding Fit? I always highlight the importance of taking a non-traditional approach to finding a new job or career. My advice is that you should not waste time playing the “résumé lottery” (passively sending résumés to multiple companies, then waiting by the mailbox with your fingers crossed). Here’s why. Sure, the résumé lottery approach could land you a job. Eventually. But my experience tells me that it’s highly unlikely to give you career success because there’s every chance you’ll end up in the wrong place. If you do end up in a job that’s not a good fit, you may find that you do well -- you may even make a lot of money. But if the job isn’t the right fit, your working life will be uncomfortable, uninspiring, even painful. You’ll dread certain parts of your day and you’ll hate working with certain people. You’ll come home frustrated, drained, stifled. Tell me -- is that really your definition of career success? The result? You will find a job that you love doing and you’ll wake up every morning looking forward to the day ahead. Now that’s true career success. Convinced? What needs to change for you to find success in your career?